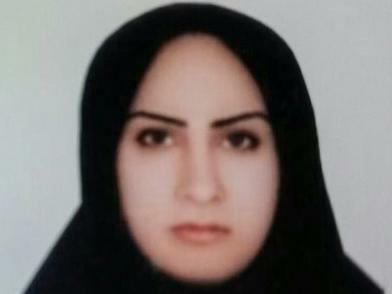 Zeinab Sekaanvand, 22, faces execution for allegedly killing her husband. Amnesty International believes she did not get a fair trial. Twenty-two-year-old Zeinab Sekaanvand is in jail, awaiting execution. Charged with killing her husband when she was 17, she confessed to the murder but later recanted, saying her brother-in-law committed the crime and pressured her to take responsibility. Now, her cause has galvanized civil rights groups like Amnesty International, which says that she did not receive a fair trial and that Iran has a record of executing juvenile offenders. But any day now, she could be hanged. Her story begins in a small village in northern Iran. When she was 15, Sekaanvand, who comes from a poor, conservative family, ran away from home to elope with a man she thought was her key to a better life. The marriage quickly turned sour. Sekaanvand says that her husband began physically and verbally abusing her. When she went to the police, they failed to investigate the allegations, according to human rights groups. Her husband refused her requests for a divorce, and she couldn't return to her parents, who had disowned her for eloping. At 17, Sekaanvand was arrested and accused of stabbing and killing her husband. According to Amnesty International, she was held in a police station for 20 days, where she said she was repeatedly beaten before she confessed to the crime, and she was not provided with a lawyer. Later, Sekaanvand told the court that her brother-in-law, who had raped her several times, was responsible for the murder — and that she only admitted to it because he coerced her to do so. Under Islamic law in Iran, the relative of a murder victim can pardon the offender and accept financial compensation instead of jail time. According to Sekaanvand, her brother-in-law promised to pardon her if she confessed. But soon after, the Iranian judiciary sentenced her to death by hanging. Now international activists are urging the Iranian government to halt Sekaanvand's impending execution. Amnesty International, Human Rights Watch and other human rights groups are encouraging people to tweet their support for Sekaanvand using #SaveZeinab — and write to the Iranian government expressing concern over this case. "It's just a very sad, sad story of a young woman having been neglected and denied protection by the authorities," says Mansoureh Mills, an Amnesty International Campaigner on Iran. "That is the reason we have taken up her case." Sekaanvand's trial, and the handling of the investigation, did not meet international human rights standards, Mills says, because she was mistreated in police custody and didn't have access to a lawyer. Even if a fair retrial finds Sekaanvand guilty, Mills adds, she doesn't deserve a death sentence from Amnesty's perspective, since calling for a death sentence for an offender who was a minor at the time of the crime goes against international treaties that Iran has signed. "Under these international laws, Iran has an obligation to treat juvenile cases differently," Mills says. "And yet, Iran is one of the leading executioners of juvenile cases." Since 2005, Iran has executed at least 74 juvenile offenders, according to an Amnesty report. And some 160 juvenile offenders are currently on death row in Iran, according to the United Nations. Last year, U.N. Secretary-General Ban Ki-moon called on Iran to suspend all executions after authorities hanged Fatemeh Salbehi for allegedly killing the abusive man she had been forced to marry. Salbehi, like Sekaanvand, was 17 when she was charged. But Sekaanvand's case, Mills says, is especially disturbing. After her sentencing, Sekaanvand's death sentence was postponed because she had married a fellow prisoner and conceived a child. Under Iranian law, it is illegal to execute a pregnant woman. In September she gave birth to a stillborn baby, putting her at risk of death by hanging as soon as this week. The stillbirth coincided with the execution of Sekaanvand's friend and cellmate, according to Amnesty. Afterward, she was immediately sent back to prison and didn't receive proper postnatal care, Mills says. "This is a clear violation of girls' rights," says Suad Abu-Dayyeh, a Jordan-based Middle East and North Africa consultant for Equality Now. Sekaanvand's case, Abu-Dayyeh says, shows how Iran's police and judicial system can fail women in multiple ways. Authorities didn't help when her husband was abusing her, didn't help when her brother-in-law raped her and didn't give her a fair trial, Abu-Dayyeh notes. In Iran and throughout the region, she adds, "women's access to justice is lacking." "We must really pay attention to this," Abu-Dayyeh says. "We must really put pressure on the Iranian government to end this." The U.S. Department of State said in a statement that it is aware of Sekaanvand's case, noting, "We continue to maintain sanctions related to Iran's human rights abuses." The Iranian government and the Iranian Embassy in London have not responded to requests for comment. There's no word yet on whether an official date has been set for Sekaanvand's hanging.